Having read and reviewed Mark Edwards' excellent psychological thriller, The Devil's Work a couple of years ago, I was thrilled to get my hands on his earlier acclaimed novel, The Magpies. If you think you're living next door to the neighbours from Hell, think again - this book cranks it up to a whole new stratosphere! Londoners Jamie and girlfriend Kirsty move into their dream apartment full of excitement and anticipation. With thoughts of marriage and starting a family on the horizon, they can't believe their luck buying the property for such a good price. After introducing themselves to the neighbours, they settle into their new home. But it isn't long before a series of strange events brings their hopes and dreams tumbling down. 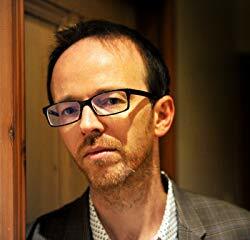 They suspect their neighbours, Lucy and Chris Newton, of instigating a campaign of terror. Refusing to be driven out, Jamie makes a stand. But how far will he go to protect his home and the woman he loves? 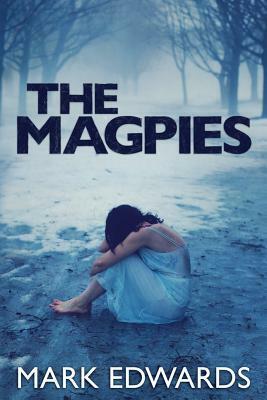 The Magpies was a thrilling read; packed full of suspense and tension from beginning to end. I simply HAD to know if Jamie and Kirsty were strong enough to survive and whether the Newtons were the psychopaths they appeared to be. OK, so there were a few totally unbelievable moments but oh boy, how they added to the excitement! The story progressed at breakneck speed, leaving little time for the reader to contemplate what would come next. My nerves were constantly on edge; I felt anxious and claustrophobic. This was MY sort of book. I have sold over 2 million books since my first solo novel, The Magpies, was published in 2013. Since then I have topped the bestseller lists several times. My other novels are Because She Loves Me, Follow You Home, What You Wish For, The Devil's Work, The Lucky Ones and The Retreat. I have also published A Murder of Magpies (a short sequel to The Magpies) and six books co-authored with Louise Voss. I live in the West Midlands, England, with my wife, our three children, two cats and a golden retriever.